Marital Property Attorney, Mary Zogg proudly serves the Division of Marital Property, Divorce, and Family Law legal needs of those in Orlando, Central Florida, and Fort Lauderdale. Call 321.209.1878 to schedule an confidential legal consultation regarding your Division of Marital Property, Divorce, and Family Law matters. In a dissolution of marriage (i.e. divorce), the court will seek to divide (officially termed “equitably distribute“) all marital property. Basically, this is when you and your spouse start to divide all of your possessions, property, and finances between “what’s mine and what’s yours.” Marital property is defined by Florida law as any property obtained during the marriage. The duration of the marriage is from the date the marriage took place to the official date that you or your spouse filed for divorce. It does not matter which spouse obtained the property or whose name the property is in. All that matters is when the property was obtained. For example, if one spouse created a business during the marriage, that business would be considered a marital asset that is subject to distribution. As always, there are exceptions such as if an inheritance is received by a spouse and kept separately from marital assets, then that may be deemed a non-marital asset. Once the marital property has been identified, the next step is to determine how much it is worth. In some cases, it is as easy as determining the balance in a bank account on the date that you filed for divorce. If not everything is listed in this type of account, however, then it may be more difficult to determine an exact value. Often, outside experts may be necessary to assist in determining the value or martial portion of an asset. An expert would be needed, for example, if a business were to be considered a marital asset. Once the value of the marital assets are known, the law seeks to equitably distribute them between the spouses. Typically, the distributions will be equal, with each spouse getting one-half of the assets and liabilities. However, a spouse may, under special circumstances, ask that the court unequally divide the marital assets or liabilities. Call Orlando Marital Property Lawyer, Mary Zogg at 321.209.1878 to discuss your Division of Marital Property, Divorce, and Family Law needs and goals. 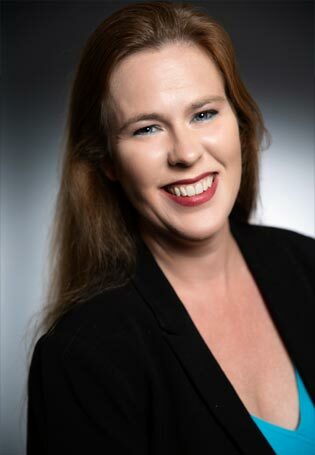 Mary Zogg has extensive experience in assisting Orlando, Winter Park, Maitland, Longwood, Central Florida and Fort Lauderdale residents who require professional Division of Marital Property, Divorce, and Family Law Attorney legal services. Attorney, Mary Zogg serves the Parental and Child Relocation, Divorce and Family Law needs of those in Central Florida including Orange County Florida, including: Orlando, Maitland, Apopka, Winter Park, Alafaya, Bay Lake, Belle Isle, Bithlo, Christmas, Doctor Phillips, Eatonville, Edgewood, Fairway Shores, Goldenrod, Gotha, Hunter's Creek, Lake Buena Vista, Lockhart, Meadow Woods, Oakland, Ocoee, Orlovista, Pine Castle, Pine Hills, Southchase, South Apopka, Taft, Tangerine, Union Park, Wedgefield, Williamsburg, Windermere, Winter Garden, Zellwood, Osceola County Florida, including: Kissimmee, St. Cloud, Campbell, Celebration, Champions Gate, Deer Park, Four Corners, Harmony, Intercession City, Kenansville, Narc oossee, Poinciana, Reunion, Yeehaw Junction.